A recent headline on the cover of Parade magazine caught my eye. It said, “Top Doctors Solve Your Medical Problems”. One of the problems they claimed to have a “solution” for was depression. So I turned the page to find out what it was. I was hoping to read about the vital links between food and mood, and the foods that fight depression. But there wasn’t a single word about the nutrients that influence our brain chemistry. Nor was there any mention of the miraculous, mood-boosting benefits of sunlight. And not even a passing word about the benefits of vigorous exercise – proven in many studies to alleviate depression completely. Instead, the article read like a series of ads for psychiatric drugs. “Dozens of medications are available,” said the author, Dr. Ranit Mishori. Worse yet, she didn’t mention a single risk (including suicide) associated with taking anti-depressants. In fact, the article glorified anti-depressants and only cited counseling as an adjunct therapy, instead of a first course of treatment. In other words, why go to the trouble of actually talking to someone about your problem… or trying to figure out and address the underlying cause… when you can just take a pill? Of course, I wasn’t surprised by this at all. In fact, it was exactly what I expected. Big Pharma spends BILLIONS on advertising in the mainstream media. And they certainly get their money’s worth. Pushing these (not-so) “happy” pills has become the norm in our society. More than 27 million Americans take some form of antidepressant. And while there is no long-term clinical evidence backing the efficacy of these medicines, it doesn’t stop Big Pharma from reaping billions every year. As with so many other areas of “modern medicine”, antidepressants don’t actually address the cause. They may target certain factors, but in the human body – and especially in the brain – no single element works in a vacuum. Everything is connected. But here’s the good news. Mother Nature’s pantry provides all of the essential ingredients your brain needs to function optimally, and there are many foods that fight depression… naturally. Vitamin D: The sunshine vitamin can help brighten your mood. But up to 90% of us are deficient, at least part of the year. As many as 50% are critically deficient. Optimize your vitamin D levels by exposing your body to the sun for 20-30 minutes daily, if possible. If you are unable to spend time in the sun or if you live in an area where sunbathing is not possible due to weather or geography, consider taking 2,000-5,000 IUs of vitamin D3 daily. B Vitamins: Vitamins B6, B12 and folate also help to produce the “feel-good” neurotransmitter, serotonin. But that’s not all. They also lower homocysteine – an amino acid that increases the risk of cardiovascular disease… and depression too. In fact, a 2002 study found that women with high homocysteine levels had double the incidence of depression. Antioxidants: Fighting free radicals means protecting cells – including those in the brain which are most susceptible to oxidative damage. Clinical studies have found that people with depression have low levels of antioxidants in their blood. Power up your diet with the foods highest in antioxidants. Animal Protein: If you’re a vegetarian, you may be missing out on an important depression-fighting amino acid, called tryptophan. It is an important precursor to serotonin. And protein-rich foods, such as grass-fed beef, pastured poultry, wild seafood and eggs are typically the best sources of it. (Note: If you’re vegetarian, optimize your levels of tryptophan with crimini mushrooms, dark leafy greens, beans, nuts and seeds). Probiotics: Depression may not be “all in your head” It could be in your gut too. 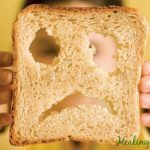 Small intestinal bacterial overgrowth (SIBO) has been found to contribute to depression, by promoting inflammation and oxidative stress as well as hindering the absorption of mood-boosting nutrients. Learn about probiotics and depression here. Finally, there are two natural supplements that can boost your mood and help to keep your neurotransmitters in balance. They are called SAM-e and 5-HTP. You can find plenty of excellent research about these supplements online. Anti-depressant medications can cause very serious side-effects – including addiction, aggression, and even worsening depression. What’s more, they do nothing to address the underlying cause of the problem. If you want to address the underlying causes, start by exercising consistently, enjoying time in the sun frequently and following the eight nutritional guidelines listed above.